This couture dog dress is hand painted. Many human students are heading back to school soon. Help get them in the mood, and over the end of summer blues, by outfitting your pooch in their own school clothes. Check out these school-themed items from the Posh Puppy Boutique. Cheer your kids on with this NCAA Auburn Cheerleader Pet Dress ($40). Available in sizes from petite to large, they are a sleeveless cheerleader dress complete with team logo and ruffle skirt then edged with school colors. Velcro ® closures at the neck and waist ensure a comfortable fit. Click here for a link to our wide selection of similar dresses featuring other well-known universities like Cal, Texas A&M, Notre Dame, USC and many more. Show your little ones you know how to dress in style by outfitting your precious dog in our Couture Handpainted School Girl Dress ($85). Made of cotton, it features handmade pleating and is handpainted. Three sizes are available. These plaid harnesses come in blue and brown. A hybrid between a functional harness and a men’s button down shirt, the Back to School Plaid Harness Vest in Dark Blue ($39) is stylish, easy to put on and breathable. It has a nylon mesh lining and lightweight cotton front. Sizes range from extra-small to large. It also comes in brown. This outfit's skirt and sweater can be worn individually. Our Preppy Pooch Dress ($40) has a removable skirt while the sweater top can be worn alone. Sizes range from extra small to extra large. Go Preppy with this All-in-One outfit from Wooflink. A polka dot bow tie completes the preppy look of this School Boy All-In-One Outfit ($68) from Wooflink. It also has a cardigan look top, decorative gold buttons and comfortable black pants. Several sizes are available. Little girl dogs might like the School Candy All in One Outfit ($65), also from Wooflink. It has a medium weight washed denim vest, button opening and pink pants. Six sizes are available. Top any of these outfits with our School Days Hair Bow ($7) featuring a ruler and apple. It can be attached with latex bands or a French clip. These and many more cute, fashionable and couture pet products for dogs—and even cats—can be found in one place and only one place, the Posh Puppy Boutique. This tutu is one of our newest products. We are always looking to expand our pet fashion horizons here at the Posh Puppy Boutique by adding new clothing, toys, treats and accessories designed with your dogs—and/or cats—in mind. Click here to view the most recent additions to our 10,000-plus strong product catalog. · Dress your little one up with this simple and elegant Classic Dog Tutu in Aqua and Black ($25). Made with yards and yards of puffy tulle, these tutus have a gap under the belly to prevent soiling. The material can be slid to either side to adjust the gap. Sizes range from double extra-small to triple extra-large. You can top her new tutu with a matching hair bow for an additional $10. · Our Lauren Polo Shirt ($40) in pink is perfect for the preppy puppy. Made with breathable pique cotton, it has button details and a Velcro ® closure. Sizes range from double extra-small to extra-large. For similar shirts in other colors, consider the Ian Polo Shirt ($40) in orange, the Dylan ($40) in yellow, the Hunter ($40) in red, the Aaron ($40) in blue, the Owen ($40) in pale blue and the Christian ($40) in navy with red stripes. ...Or the Owen for boys. · NFL training camps are open so the season with start soon. Get ready for some football with our NFL San Francisco 49ers Plus Rope Football Toy ($20). It has an embroidered team logo, squeaker and rope at both ends. It’s perfect for playing with your dog or for two toys to play with each other. · Ensure your pets stay hydrated during these long, hot summer days with two new fountains from Drinkwell. The Multi-Tier Fountain ($68) provides 100 ounces of fresh, filtered water. A charcoal filter removes bad tastes and odors while the two levels make it perfect for big and small pets. The 360 Fountain in Stainless Steel ($120) holds 128 ounces (1 gallon) of fresh filtered water coming from up to five streams, making it perfect for multiple pet households. It also has an adjustable water flow and replaceable charcoal filters. The best part is everything but the pump is machine washable. · Give your best buddy a dog-friendly snack while the two of you watch the ballgame. OK, you watch the game, they get their belly or ears rubbed. Give them a Brew Buddies Brew Chew (6 oz. size: $10). Made in the USA, these treats are 3 inches long and made with chicken meal, malted barley flour, brewers rice, wheat middlings and other tasty ingredients. This harness features a choke-free design. · Take your dog for a walk after they are done playing and eating treats by outfitting them in a Pink Plaid and Minky Fur Ultra Choke Free Dog Harness ($30). The patented V-cut design, minky fur lining and 3-inch wide straps ensure your dog is safe and secure. The pink plaid design lets them make a fashion statement, too. Sizes range from extra-small to large. Our Hottest Sellers Are Smokin! This Fantasy Rhinestone Dress is one of our hottest sellers. 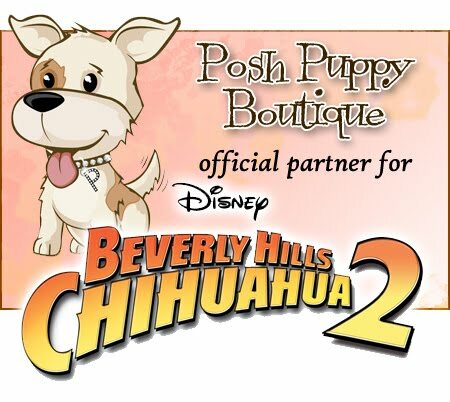 Keeping you updated on designer dog fashions is one of our goals here at the Posh Puppy Boutique. Regular visitors to our website will find the Hottest Items link near the top of our web page. What kinds of pet-related goodies can you find on the Hottest Items page? Check this miniscule sample from hundreds of products in this section alone. · Show your style any time of the year with our Fantasy Tutu Dress with Rhinestones ($75), which is part of our Parfum Collection. It is hand made to order. The tutu is lined with hot pink satin ribbon, hot pink Tulle skirt and hot pink ribbons at the waist and chest. A parfum bottle is lined with Swarovski crystals. Sizes range from extra-small to large. · Get a serious case of bling with our Silver Velvet Sparkle Collar ($55). This 5/8-inch wide collar uses pink aurora borealis crystals and a wine-color velvet ribbon topped by a rhinestone buckle atop silver velvet. Cat lovers: we can make this into a safety cat collar for your favorite feline. Sizes range from small to 7 extra-large. · Does your favorite pup like to go to the park and “Play Ball?” Make them look the part with our Home Run Top ($45) from Wooflink. This light-weight, 100 percent cotton top has rosettes on one shoulder with bows and jewels. Six sizes are available. · Carry your small dog with you when you go out and look stylish doing it with our Blue Camo With Black Trim Sling Dog Carrier ($115). Made for dogs weighing from 2-15 pounds, it is quilted throughout for your pet’s comfort. The sling includes an adjustable strap and is machine washable. · Hair bows are not just for humans as our Buzz B Hair Bow ($7) for dogs attests. It attaches with two rubber bands. · Walk your precious princess with our Disney Tinkerbell Collar ($15) and Disney Tinkerbell Leash ($20). The adjustable collars come in small, medium and large sizes while the leashes are available in small (3/4-inch) and large (1-inch) widths by 6-feet long. While not one of the hottest sellers, we also sell a matching Tinkerbell Harness Dress ($70) and Tinkerbell Tutu Dresses ($50 each) in pink, lime and black from designer Puppy Angel. With more than 10,000 products to choose from, the Posh Puppy Boutique has you and your pet covered in terms of clothing, grooming and fashion products. Store your pet's clothes in this luxurious antique-style armoire from Yvette Ruta. Earlier this week we looked at a few of designer Yvette Ruta’s couture pet clothing creations, which are now available at the Posh Puppy Boutique. Did you know that Ruta also creates exquisite pet furniture, including a long list of beds? And just like her clothing, all of Ruta’s furniture is proudly made by craftsmen here in the USA. Before looking at Ruta’s beds, though, take a moment and peruse some of her unique furniture creations. This Wooden Antique Style Black and Gold Armoire ($2,420) is handcrafted and carefully distressed with a hand-applied, seven-step process. The result is the appearance of a weathered antique. The armoire has a removable clothing rod for your pet princess and prince’s outfits. The interior features a solid gold metallic faux finish while European-style hinges and antique hardware are used for knobs and handles. Matching this style, and perfect for any rustic home, is Ruta’s Luxury Antiqued Black/Gold Leash Holder ($100). Measuring 17.5 by 6.5 inches in the shape of a dog bone, it has a black and gold finish using the same antiquing process described above. A pair of antique knobs let you hand leashes from it while two drilled keyhole wall mounts allow you to mount it. A similar Luxury Rustic Leash Holder ($100) features artificial antlers able to hold six leashes. The Newport chair from Yvette Ruta is a dog-sized compliment to your outdoor furniture. Ruta has also created outdoor pet chairs in four styles: Hampton ($205), Cape Cod ($280), Bridgeport ($340) and Newport ($415). All come in a wide range of colors such as natural cedar. Sizes vary with the style but all look identical to similar models for humans … except they are designed for dogs. Umbrella holders and leash holders are also available at an extra cost. While these chairs, and her Adirondack Outdoor Pet Toy Box ($205), are unique designs, so too are Ruta’s luxury beds. Match the antique-style armoire and leash holder with a Luxury Antique Style Bed ($1,600). Featuring a cherub angel and using the same antiquing process, it has side bumpers made with ultra soft faux mink fur with gold damask sateen backing, a gold sateen back bumper with dangling trim detail and black chenille bedding in a gold leopard print. It holds pets up to 25 pounds. Luxury leopard fur fur bed, means comfort for your dog. Ruta’s Shabby Chic 19- by 22-inch Luxury Leopard Faux Fur Bed in Blue ($1,430) uses a cream-colored, antique finished, solid wood design featuring carved appliques and 7-inch decorative handles. It uses “Minky Blue Leopard Fur” (fake fur) for ultra-comfortable bedding. A washable pillow and dry clean-only duvet are part of the package. Yvette Rua's Dreams of Champagne Bed is a classic. Another sparkling example of Ruta’s creativity is her Luxury Dreams of Champagne Bed ($1,650). This solid wood creation uses a painted black caviar design with Ralph Lauren Candlestick Silver legs and trim. It has an iron cross with Swarovski crystal detailing, silver handles with black centers and champagne color silk bedding. “Luxury,” this is your pet’s bed. Learn more about Yvette Ruta’s couture pet furniture and clothing creations by clicking here. Connect with us on Facebook, Twitter and now Pinterest or call us at 888-837-5230 with any questions. The Midnight Sparkler is one of Yvette Ruta's couture pet fashion products. Yvette Ruta joins a distinguished list of couture dog fashion designers whose wares can now be found in one place: the Posh Puppy Boutique. Ruta’s line of luxury coats, dresses and sweater vests all bark “style.” Best of all, they are proudly Made in the USA. And unless noted, they all include a secure “D” ring so you can proudly walk your pooch down the nearest red carpet and into the swankiest place around. Take for example her Couture Midnight Sparkler Coat ($400). It is available in sizes from extra-small to large. You can tell quality clothing by the details, and there are plenty of details in Ruta’s creations. This coat is made with faux fur in midnight blue with white and black striping. The bodice has metallic silver beading on an embroidered silver trim with a rope border. Silver and iridescent blue beads dangle from the fur. The coat is topped by a shimmering silver satin lining made with bridal-grade fabric. Matching pink, silver or gold tutus are available at an extra fee. This black mink coat uses faux fur for face-forward fashion. A second coat is Ruta’s Couture Black Mink Coat with Pink Satin Bow ($330). Made with ultra soft faux mink fur, this coat has a rhinestone bow pinned to a pink satin bow for a combination that will make your eyes pop out. It is fully lined in pink bridal satin. A matching pink, silver or gold tutu is available separately. It is available in sizes from extra-small to large. A coat may not be your style during these hot summer days, but a classy dress will ramp up the looks any time. Jersey style goes to the dogs in this artistic Yvette Ruta creation. Ruta aims to please, especially for fur babies with attitude! Her Couture Jersey Girl Dress ($200) features black vinyl on tan short pile fur leopard print fabric. The lining is 100 percent turquoise silk color. The waist and neckline a trimmed with gold chains in a bed of black lace with a black leather-like strap running through them. It is available in sizes from extra-small to large. Downtown. That is where you will want to walk your dog in this dress. Take your dog for a head-turning stroll by outfitting her in one of Ruta’s Couture Downtown Dresses ($165). Made with black velvet featuring black rosettes on the bodice, the bottom has black lace over turquoise-color 100 percent silk. A triple sequence at the waist and sequence trim around the neckline make this couture creation sparkle day or night. It is available in sizes from extra-small to large. Go fur fashion forward with this Lilac Velour Harness Vest. In the case where less is more, consider Ruta’s Couture Lilac Velour Harness Vest ($200). Made with super soft embossed velour, this vest is fringed with green beading and sequins on a gold metallic trim and a green rose at the neck. It is fully lined in a cream leopard print and accented with a gold lux skirt. It is available in sizes from extra-small to large. See these and many more couture pet fashion creations by designer Yvette Ruta at the Posh Puppy Boutique. The Brite Pet Life Jackets will help your dog stay safe around the water. “Help! Dog overboard!” Let’s hope you never hear that being yelled. One way to protect your precious pup during the dog days of summer, whether at home by a pool or out at the beach, is with a lifejacket from the Posh Puppy Boutique. Many people think dogs can swim, which they can. But they may not know where pool steps are, nor be strong enough—or calm enough—to swim to them. Lifejackets designed for dogs ensure your pet stays safe. The PoolPup Steps give dogs an easy exit from the water, even in the deep end. While not a lifejacket, our PoolPup Steps ($200) are designed for in-ground and above-ground pools. They will not damage vinyl liners. These steps are 12 inches wide with 5-inch high steps. It takes less than five minutes to train your dog how to use them. These steps are perfect if your dog is unattended near a pool or you just want to make sure your dogs can enjoy the water and get out easily. These steps are designed for dogs up to 50 pounds. Our Brite Pet Life Preserver ($27) come in several colors such as raspberry and bluebird. They have two layers of flotation material for added buoyancy and several Velcro ® straps to secure your pet. Sizes range from teacup to double extra large. The Pink Polka Dot Life Jacket ($35) is highly visible and adds two layers of safety. First is a last-second grab handle securely sewn into the back. If your dog starts to head into the drink, you may be able to grab them before they get wet. The second key feature is a soft mesh underbelly designed to let water flow out and help keep your pet comfortable. Adjustable nylon straps and quick release buckles are also part of the design. Sizes range from double extra small to large. The ANGIONE Paws life vests are made with reflective material. The Angione Pawz Neon Reflecting Life Vests ($60) from designer Puppy Angel come in several bright colors and patterns. They are tough and practical being equipped with a sturdy nylon safety grip on the back. Made with waterproof camo fabric, they are fun, functional and stylish. Sizes are small, medium and large. Color choices include blue, red, purple and pink. The Neoprene Pet Life Preserver ($25) is made with water-resistant neoprene, which is very durable. It is made with two layers of flotation material and includes quick-grab handles and high-visibility colors. Sizes range from double extra small to extra large. The Metropolitan Bunk Beds for dogs recently appeared on the "Today" show. Your little dogs can sleep in style and comfort, knowing full well their buddy is doing the same, when you provide them with a Metropolitan Bunk Bed from the Posh Puppy Boutique. · Two beds 22 inches long by 15 3/8 inches wide with a 2 ½-inch deep cushion. Metropolitan bunk beds are stylish and sturdy. Three stairs with a textured surface to prevent slipping allow dogs to quickly go from the top to bottom bunk. The design, which was featured recently on NBC’s “Today” show, is enhanced by your choice of six color combinations. Choices include Ebony-Zebra, Ebony-Silver Gray, Espresso-Giraffe, Espresso-Sand, Fire Red-Zebra and Fire Red-Black. Your pup, though, many not want to have a sleepover, just a comfortable, cool and fashionable crate to sleep in. Our It’s A Breeze Too Soft-Sided Crate ($98) combines elegance and style with safety and security in a foldable, easily-carried crate. Available in sizes from 17 inches wide by 24 inches long and 20 inches high to 28” by 48” by 36” (larger sizes cost more), it uses a lightweight aluminum frame with spring-loaded bracing poles. Let’s face it: there are times when you want to take your pet on the road and carrying a bulky metal crate is simply too much hassle. The It’s A Breeze Too Soft-Sided Crate is made with a durable bug- and water-resistant nylon mesh with canvas trim. This combination provides great ventilation and a 360-degree view for your pet. A dual zipper front flap lets you secure your dog for the night while a built in pole storage and a carrying handle make it easy to move. The It's A Breeze Crate is sturdy and portable. Cool off metal crates with a ProSelect Deluxe Thermostatic Crate Fan ($20) that fits over the Deluxe Thermostatic Crate Fan ($36 and sold separately). The basic $36 fan attaches to the outside of any metal pet crate. It has three pre-set temperatures that once reached, will automatically activate the fan, providing a flow of cool air to your pet. A manual switch also lets you turn it on or off. The $20 accessory holds a non-toxic freezer pack insert. Additional packs are $15 each. Each pack lasts up to two hours. Now your fan will draw in air through the freezer pack, helping your pet stay comfortable even in hot conditions. DC power supplies for the car and AC power supplies for homes and hotel rooms are also available. PLEASE keep your pets safe and secure on July 4. The rocket’s red glare and bombs bursting in air may look spectacular to humans. To a dog, though, they are frightening. Many animal welfare groups including the Humane Society of the United States state that July 4 is the worst day of the year to be a pet. Why? Because the loud noises of fireworks—and in some areas, guns—scares the willies out of them. The result is these scared pets run away from the noise then get lost and cannot find their way home. 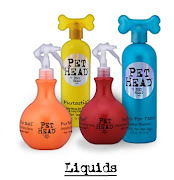 Here at the Posh Puppy Boutique we are first and foremost pet lovers. We enjoy our dogs, cats and other critters. We want each of you to also enjoy every second with your four-legged friends, not be worried stiff that your little pals are scared out of their minds. · Be certain your pets—dogs and cats—have collars with nametags identifying their name and providing accurate and current contact information. · Restrict your pets’ movements during family gatherings. For example, keep them confined to one room with a locked door. Be sure they have plenty of water, food, toys and a comfortable place to sleep. Locking the door keeps curious little people from accidentally letting your “little person” escape. · Ideally provide your pets with soothing noises that are loud enough to drown out fireworks and sharp sounds while still being soft enough not to cause stress themselves. Drawing the curtains to block out the sight of fireworks also helps. · Use a well-fitted harness, not a collar, when walking them on this particular day. Harnesses are much tougher for dogs and cats to get out of. This gives you more time to pick them up and soothe them if they are scared. · Watch what others try to feed your pets. Tell your younger guests that your pets can’t have a hot dog, that candy—especially chocolate, which is poisonous—is bad for them. Instead, let each visiting child give your pet one pet-friendly treat. · Leave your pets at home when it comes time for the family to go to the fireworks show. Your dogs and cats are far better off in the safety and security of their home than they are being bombarded by loud noises and bright lights. For future reference, consider equipping each of your pets with their own Thundershirt. Available in several colors and styles and priced starting at $50, these shirts use gentle pressure to calm pets. This constant, soft pressure acts to calm pets under stress from a variety of sources such as thunder and lightning, fireworks and other loud noises. Sizes range from extra-small to extra-large. A version for cats is also available. Have fun this holiday. Be safe, America!